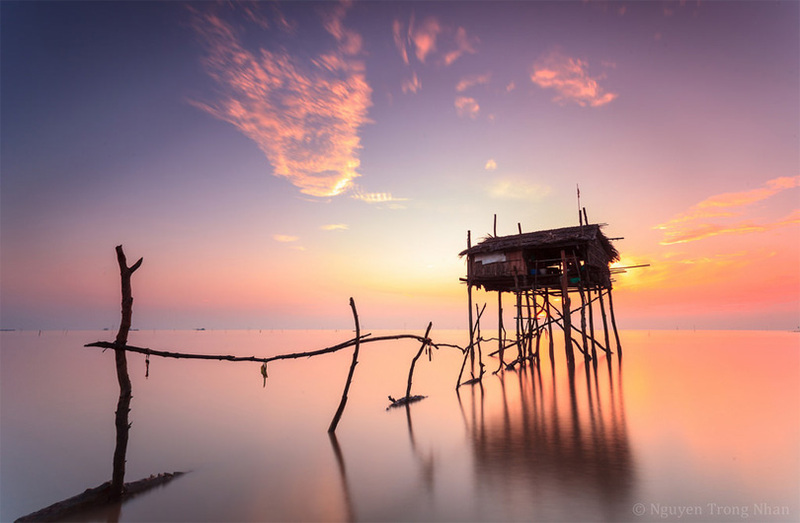 Let’s join Detoured Asia for an unforgetable day trip to some untouched areas of Mekong river delta to see the stunning scenery, to take deep breath from panoramic Mekong delta rice fields, and to taste the hidden charm of local countryside with many highlight activities. 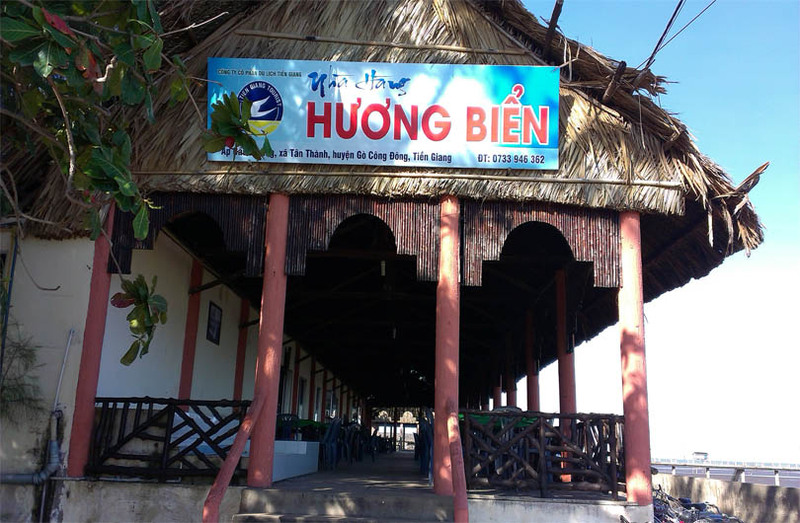 At 7:30 am, our tour guide and driver will pick you up from your hotel and start the Mekong delta tour from Ho Chi Minh city. We will drive you on the secondary road 50 (not the Highway 1!!) 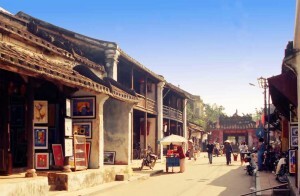 to Can Giuoc (30km) and pay a short visit to a beautiful and colorful local Cao Dai Temple. 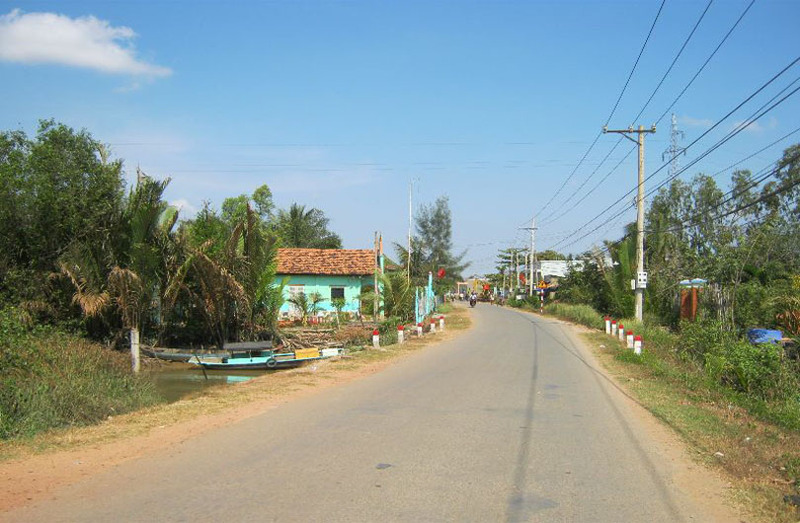 From here we start to have the feeling of the countryside in first province in Mekong delta with 13 provinces. The landscape along the way is green just makes you stay calm and relax from the hustle Saigon. 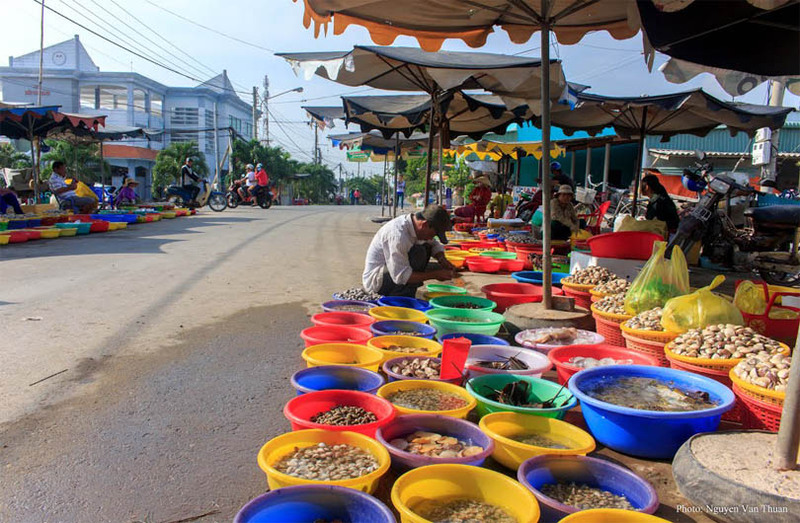 Then to take another short drive (15km) to Can Duoc market – a stunning rural Mekong delta market on its informal setting and friendly market goers. 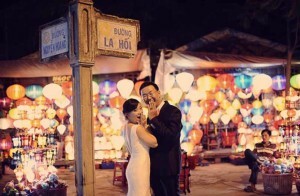 Here you have a chance to communicate with friendly local people of Mekong delta who are doing the business for their living in this market. Then heading for Tan Hoa town (25km) with a short break to visit a local family’s legumes nursery and witness an unbelievable form of labor-intensive which has not changed over three generations. Also, you can learn the technic how chili peper is grown from the local people in this nersery. Next, we take to boat drive passing many floating fish farms and islands in upper mekong river to boat station in Ben Tre near by Rach Mieu bridge and get back AC bus for the journey back Saigon. Note: We only run private and customizable tours. 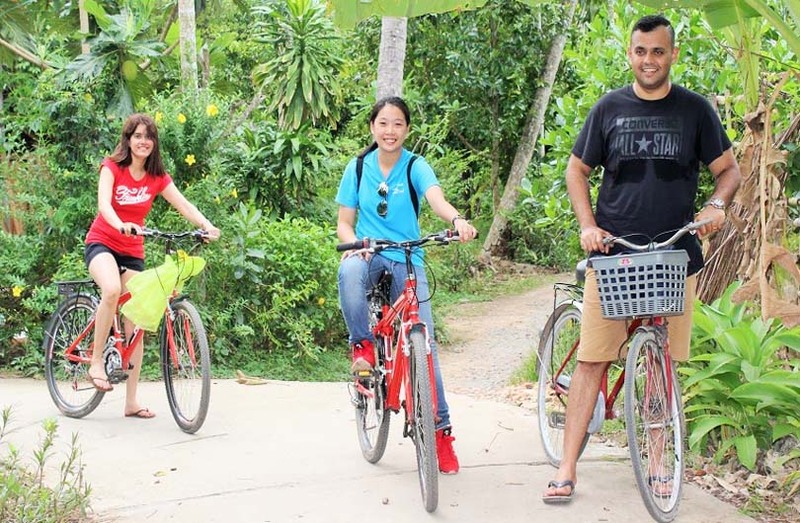 Also note that some parts of Mekong Delta are not that green during the dry season which goes from January to late-May, therefore some of the stops can be slightly changed, depends on actual time of travel. 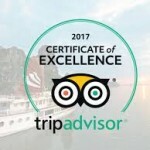 We were looking for a great, genuine Mekong delta tour and came across Detoured Asia on TripAdvisor. We emailed them a day before we’d like a tour and they kindly responded by saying their senior guides are fully booked, but they can offer a junior guide for a discount the day after tomorrow. We just came back from our tour now and we’re absolutely happy with this company. I rarely write reviews, but my boyfriend and I were very impressed by their service. Our wonderful guide’s name was Anthony Huy and our personal driver was very kind. Even though Anthony was considered a junior guide I was very impressed by Anthony’s knowledge of Vietnam and his eagerness to ensure we were comfortable and well taken care of. He fully answered all our questions and was engaged with us 100% of the time. Our favorite part of the tour was the scooter ride. It was great to ride around the countryside of Vietnam and meet many kind friendly locals and experience a glimpse into their lives. Although honestly, everything about the tour was amazing. The lunch they provided was more than we expected and ate great seafood (7 dishes!) by the beach and many kinds of fruit we bought at the rural market before. As for the company, we liked how organized they were. To make sure they know what their customers should expect, they attach a detailed plan and description of the tour chosen by email, and then hand us an elaborate itinerary to look over for our convenience before the trip starts. The private air-conditioned car was definitely a plus, adding great comfort throughout trip (it was a huge relief to get out of the heat, time to time). The tour was well worth the price and we’d definitely use them again in the future. Family of 5 with 3 boys aged 10,12 and 12 took a private ‘Mekong Delta Local Life Experience’ on 20 September and it was a fantastic experience and fun day for us all. Our guide Joseph was amazing and shared personal insights with great knowledge of the local areas and people. His personal relationships with the locals and friendliness made the day a very memorable one for all of us. Joseph balanced our interests and needs easily and a private tour is a must. Thank you Joseph. Going to the family furniture making shop – I hate being pressured to shop. This is definitely not a shopping stop! You see how they make the furniture – they keep right on working as you watch. Eating a scrumptious seafood lunch on the beach – the food was so good and Joseph also showed us and had prepared for us a number of different fruits which we had not tried before – milky apple and custard apple. Take advantage of this as the farther north you go, the fruit is just not as tasty. Other guides were surprised when we already knew about these fruits. Finally, you won’t spend all of your time on a boat – which we realized is actually a plus as I think that you would eventually just become really hot as it takes a long time to get from one location to the next. This is a really well thought out tour. Joseph, our guide was one of the best professional tour guides that we have had. 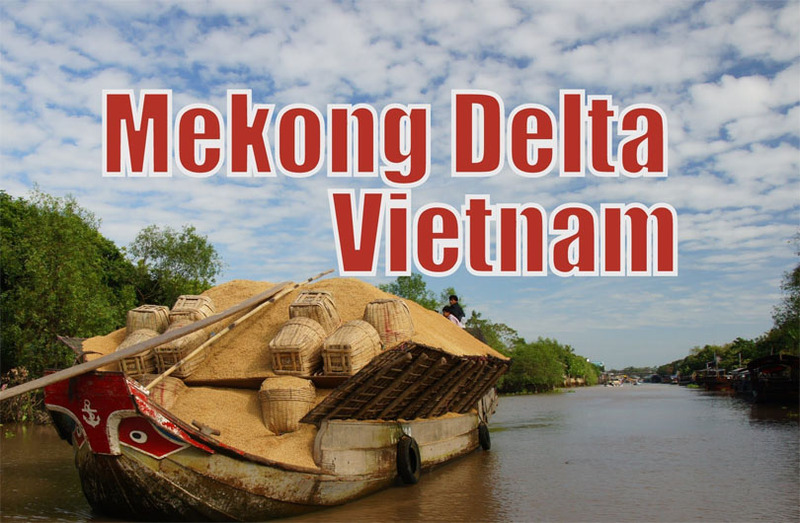 Highly recommend this tour if you want to get a peek at the Mekong Delta. Wow wow wow. 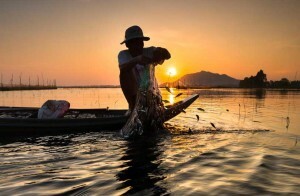 How to experience the Mekong as a local for a day !! Started with an early pick up from our accommodation. With our guide Joseph and driver Hiep, heading out of the city towards the Mekong Delta. Our itinerary was emailed several days in advance so we knew exactly what we would be seeing and it didn’t disappoint ! What a wonderful day the sights the smells and the food ! We visited the true local food markets, a local temple, a plant nursery, a slow boat ride thru the Mekong canals, our guides own home (were we meet his mum and other family members), his uncles farm and saw inside his home and meet the water buffalo! Feed the goats… then off thru the rice paddy fields on scooters. We then headed to the beach for an unbelievable seafood lunch ! To say the day was life long memory is understatement! It truly showed us a side of Vietnam that we would’ve missed. All the locals we saw were so friendly! Particularly the ladies at the food markets, we had them laughing. They don’t see Aussies very often! I usually spend time looking at reviews of different companies and the tours they offer but I didn’t get a chance to do that before I arrived in HCMC. I ended up booking this via email at the very last minute (in the evening the day before the tour) and so was slightly wary of what I’d get. But it was brilliant! Due to it being last minute, I was told I would get a junior guide (as all their fully trained/qualified guides were booked up for a couple of weeks). However, this was reflected in the price (discounted by US$10 per person). This is a private tour – so it was just me and my friend. It cost us US$90 each. Even though he was considered to be a junior guide, the guide we got (sorry, I’ve forgotten his name – it might’ve been Huey!) was amazing – he had brilliant English and was able to explain the things we were seeing, answer the questions we had and even cracked jokes! The driver was also brilliant. He made sure there was always cold water for us in the car and drove efficiently (quickly but safely). The car was clean, new(ish), and comfortable. We saw a number of things including a Cao Dai Temple, a local market, visited a remote village (Uncle 5’s house) on scooters, had a sumptuous lunch at a fresh seafood restaurant and went on a cruise through the Mekong Delta. I don’t know if it’s just the timing of the visits or the actual destinations but they were mostly devoid of tourists, which made it feel like an authentic experience. It’s quite an early start – 7.30am – and we returned to our hotel around half 5 so it ended up being a quite a busy day (with napping time in the car between destinations!) but it was totally worth every single minute. 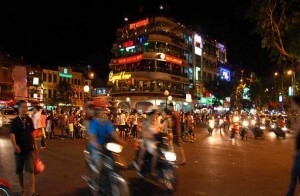 I would definitely recommend doing it if you find yourself in HCMC/Saigon. It was also really nice to receive a phone call, in the evening, from the tour office asking if everything had gone okay and how we’d found the services of the guide. As I’ve been writing this review, I’ve been trying to think of a point of improvement for the tour, but I can’t! It was perfect! We did the Mekong Delta tour with Van, and it was absolutely the highlight of our two-week trip. Van was able to answer all of our questions, and he was fun to spend the day with. The tour felt off the beaten path and even after two weeks of other similar excursions, my fiance and I agreed that this was the least touristy / most authentic. Be prepared for a full day of activities – it will surely be a highlight of your trip too! 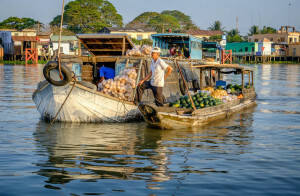 After reading other reviews we knew we wanted to book our Mekong Delta trip with Detoured Asia because they offer something very different to everyone else. Our day started at 8:00am with a hotel pick up, and we were off on the ‘local roads’ to the Cao Dai temple. It was a beautiful temple, and our guide Anna did an excellent job of explaining the religion and concept behind it. We were able to explore the temple and spend as much time as we wanted (note – we weren’t shuttled around and directed as per other tours). The next stop was at a market and Anna showed us through. It was a local’s market so nothing like you’d see in the ‘tourist-focused’ markets. The people were very friendly and you could tell they wanted to communicate (as did we) but we didn’t know how. Anna was an excellent translator for us. 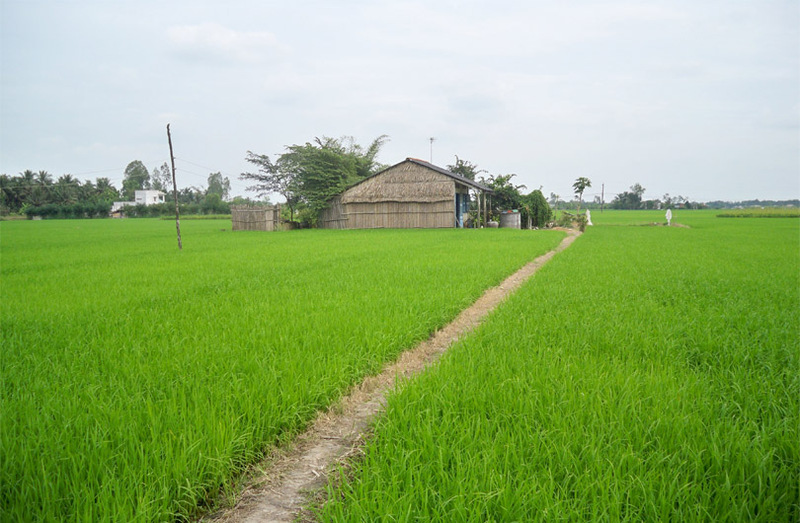 We then went to a village and rode scooter around, stopping by some very large rice paddies, some local houses (and met some very friendly goats and got up close to some beautiful water buffalo), and enjoying the picturesque views of the remote town. The locals here were very friendly, and would call “Hello!” as we rode past. One man even came out from his home and introduced me to his 4 month old Grandson. I loved the scooter part of this tour – it’s something I don’t think I will ever forget, and we were rewarded afterwards with delicious ice cold sugar cane juice. After this we had lunch at a local restaurant. We had some amazing traditional food – I loved the clay pot fish, and the tofu stir fry. We had never tried pipis before, which were quite good, and Anna even got me to try a Balloon Egg. The highlight of this lunch for us though, was the ability to have a really good laugh with Anna as her English skills were exceptional. She tells us that she learnt by flagging down tourists and talking to them to learn (prior to becoming a tour guide). She was so much fun to talk to, and generally just a really interesting person. After this, we had a longer drive to the Mekong Delta river and boarded our boat which took us to a smaller boat. We travelled up one of the rivers taking in the surroundings. It absolutely poured while we were in the boat but that only added to the scenery and we were under cover. After this we walked through another small village, and back to the car for our trip back to Ho Chi Minh. Our deepest thanks to Anna, for being the best tour guide I think we have ever had, Hiep, for your driving skills, and to Joseph, for sharing your village with us, and for providing such an amazing tour. We recommended this tour to all other travelers we saw on our way that had not yet been to Ho Chi Minh and wanted to see the Mekong Delta, and we will continue to recommend Detoured Asia to anyone travelling to Vietnam. The highlight of our Vietnam trip. Fantastic! We contacted Detoured Asia at short notice to do the Full Day Mekong Delta tour and half day Cu Chi Tunnels tour. First things – their customer service was excellent – fast responses and no-fuss plans were made quickly and painlessly. We met our guide Dao on the first morning (who was re-arranged and very short notice to stay with us for both tours – again, excellent planning!) What can I say – from the word go she was more than excellent and made us feel very comfortable. Her English was exceptional and we understood her very easily through out the tour. She answered all of our many questions generously and happily and through her astounding and vast knowledge of all things ‘Vietnam’ (and I’m not just talking local things, specific to the tour) we expanded our knowledge of the culture and customs of Vietnam hugely. I won’t go into detail about both tours (other than to say they we as per the Itinerary and other review and both excellent and very interesting and it was so nice to find a tour that got you off the beaten track!) other than to say Dao went out of her way to make the tours interesting and relevant to our two children (8 and 6 yo). This was over and above expectations and the girls absolutely loved the tours (and all the local animals they got to meet courtesy of Dao’s generous spirit) All in all, can’t say enough good stuff about our guide and the tours. HIGHLY RECOMMEND! My 2 daughters and I had an amazing day with Huy, our tour guide on this tour. His was very knowledgeable and entertaining, with no question too hard to answer. His guidance around the market was interesting and his choice of fruit and seafood for our lunch was perfect. He was patient as we took many many photos and often joined in with the snaps. The locals who participated in the bike ride were friendly and we were able to watch them pullout another motorbike rider and his bike from a paddy field. We would highly recommend this tour for anyone who prefers to be away from the usual big bus tours and a little left of field. Well done Detoured Asia and Huy. We have shared our day with many others!